Jerry Eicher has never been fond of writing outside the lines. As a young boy, a research project on hog farming started him on his career in writing. Instead of writing a typical research paper, he turned it into the story of Willie the pig and took the reader on a tour of Willie's life from birth to death. Jerry is still working outside the lines. Today he is a well know Amish Romance Writer. He can be found on Facebook or at AmishReader.com. He has quickly become one of my favorite's in the genre of Amish Fiction. 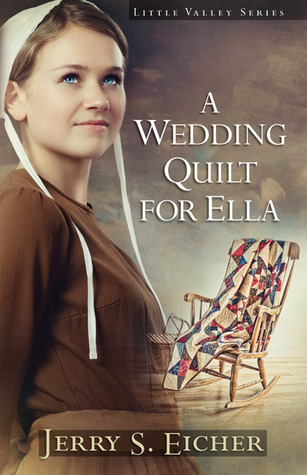 So I am offering up two of his books: A Wedding Quilt for Ella and Ella's Wish. Good Luck to All of you and keep hopping. Come back tomorrow as I spotlight friend and author Marlayne Giron. Ella Yoder's wedding with Aden Wengerd and the building of their dream house is set for June. 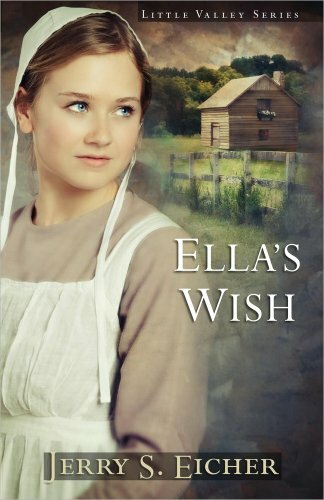 But when Aden is suddenly taken from her, Ella begins to doubt God's love. When her family pressures her to marry the new young bishop, Ella asks for six months to heal from Aden's death. Meanwhile, Aden's brother, Daniel, helps Ella build her dream house based on a drawing by Ella's sister, Clara and now incorporated into Ella's wedding quilt.